Today’s schools seek to prepare students to be college and career ready. Often, we want to reduce all of the expectations, attitudes, competencies, skills, and behaviors required to be college and career ready to a single score. However, postsecondary schools and workplaces expect college and career readiness to mean much more than doing well on a written or online test. A better approach is needed. Nebraska Career Development Model programs intend to engage students with participation, activity, and do much more than take a test. Pre-K -12 — Experiential and skill building opportunities to enhance academic, career and social/emotional development, directly applying to education and workplace success. Schools collaborate with families, post-secondary, the community, employers, and business/industry to provide instruction, guidance, and advisement to students to achieve their goals. 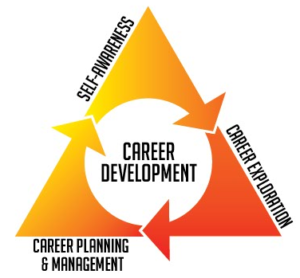 Quality career development is essential to college and career readiness programming in schools. Planning a district-wide program is essential!